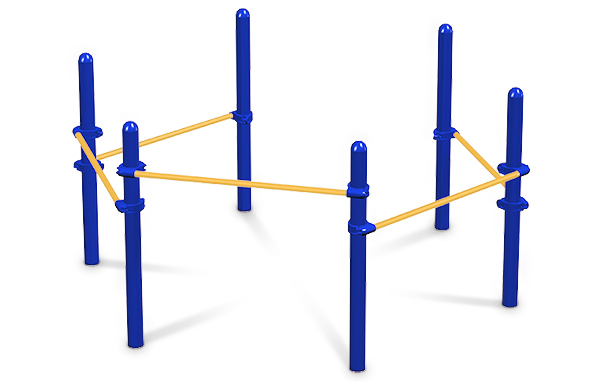 The Multi-Bars are an efficient piece of outdoor commercial exercise equipment that allow multiple people to exercise at once, even performing different exercises. Pull-ups, chin-ups, reverse sit-ups or dips are just a few of the exercises that can be done on the multi-bars. The exercises performed on the multi-bars can help improve upper body and core strength, balance, and coordination. Whether park visitors want to utilize dynamic or static movements, both can be done on this versatile piece of exercise equipment. Commercial outdoor fitness areas are popping up all over the country, combining fitness, sun, and fun all into one. Strengthens hand grip, triceps, biceps, shoulders, and chest. Can be used for rehabilitation purposes to improve coordination, range of motion, and strength. Body weight exercises are great for lean muscle tone. Builds lockout strength and straightens elbows. Pull-Ups/Chin-Ups: Grip bars with both hands, pull your body upwards until the chin is level with or above the bar. Lower body and then repeat accordingly to your capability. In order to work different muscles, this exercise can be performed with forward or reverse hand grips. Feet can be held off the ground or you can hold your body at different angled planks to target back, shoulder, and tricep muscles. Dips: Grasp the lower bars with hands supporting body weight with straight arms, facing away from the equipment. Bend arms to lower body. Return slowly to start position. Do not lock elbows. Repeat accordingly. Legs can be straight or bent at different angles for various levels of difficulty. The state of the art finishing process used on the Multi-Bars combines the application of an 'Electrocoat Zinc Rich Primer' with a durable polyester powder-coat top layer to ensure every crevice and joint is completely sealed, providing full protection against	corrosion and weathering. 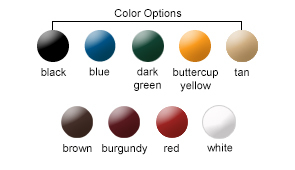 Multi-Bars are finished in either a gloss or textured polyester powder-coat finish.